The PC Downloader’s main screen is explained below. You can ignore the options for SD Card download, Direct to PDA download, and Manual Input. These options are for those customers who use our PDA scouting service. 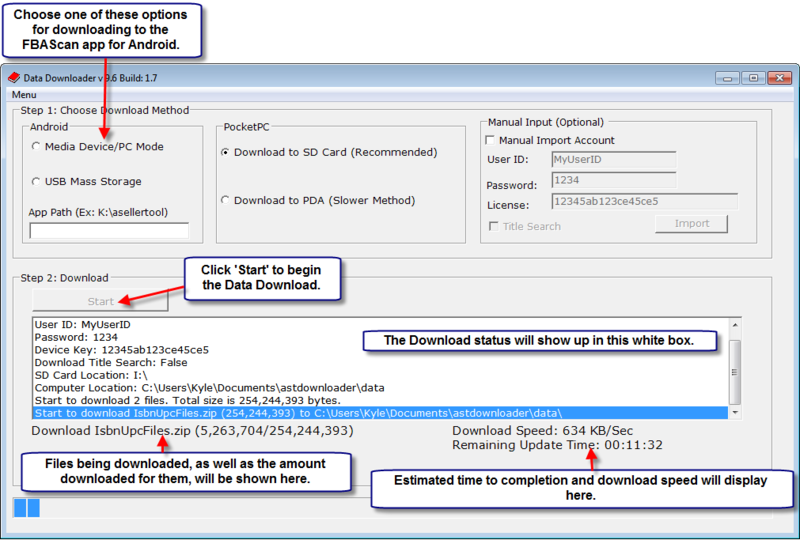 Those downloading to an Android phone with PC Downloader have two options.